This time I would like to show you how you can make a super simple and very tasteful tomato salsa. 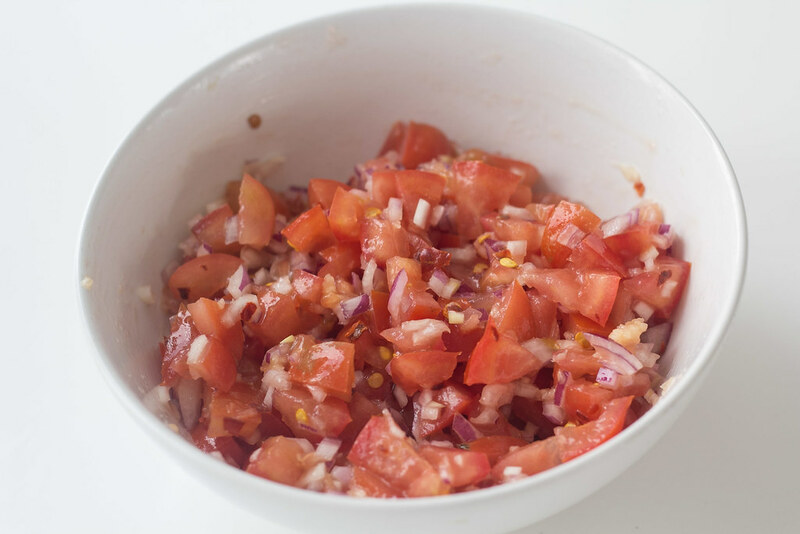 For this tomato salsa you would only need a few main ingredients which is; tomatoes (of course), fresh red chili, red onion, olive oil and cloves of garlic. 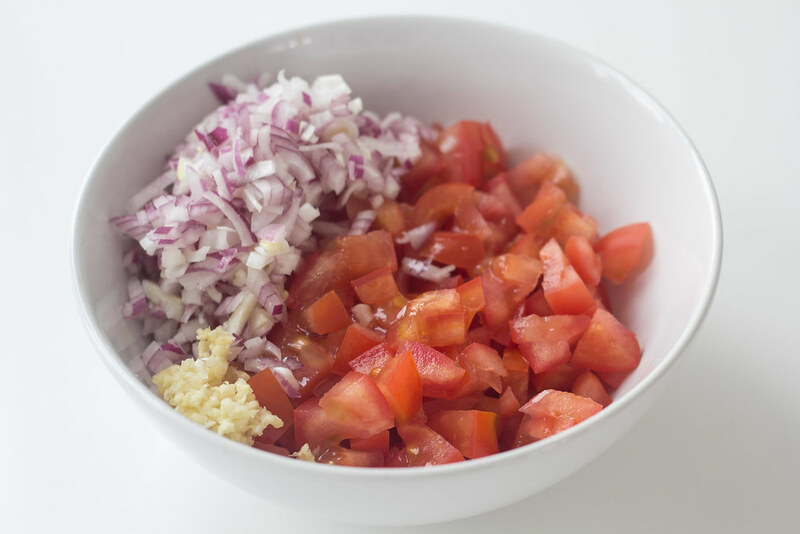 These few ingredients can be turned into a delicious salsa which can be used as a side dish for a ton of different other dishes or as a topping for burgers, tacos, pizza and so on. I personally always make this tomato salsa when I am having homemade tacos. This salsa is just a perfect topping for a taco with pulled turkey, cucumbers, corn and cheddar cheese. I have a simple recipe for homemade tacos, which you can find in the dinner section on this blog. Besides being a great topping for tacos – I also always make a portion of this salsa when I making homemade burgers. I know that salsa is not a typical selection for a cheeseburger. Nevertheless, I always like to experiment in the kitchen and a tomato and chili salsa is great in a burger if you ask me. It is also my experience that most other people also find this delicious when serving this salsa together with my burgers. When talking burgers; if you have not tried it yet I would like to recommend trying making your own burger buns the next time you make homemade burgers. I have a super recipe for burgers buns which is easy to follow and very delicious. As said, making your own homemade tomato and chili salsa is just super easy. You start by rinsing and cleaning the tomatoes and chili. Finely chopped the chili, dice the tomatoes and mince the garlic. In a small serving bowl, mix the prepared ingredients together with some olive oil and salt and pepper to taste. Keep the salsa in the fridge covered with plastic foil. It is that simple to make a tomato salsa. Enjoy. 1. Rinse the tomatoes and finely dice them. 2. Finely chop the chili. Add the chili to taste. 4. In a small bowl; mix all the prepared ingredients together with olive oil.